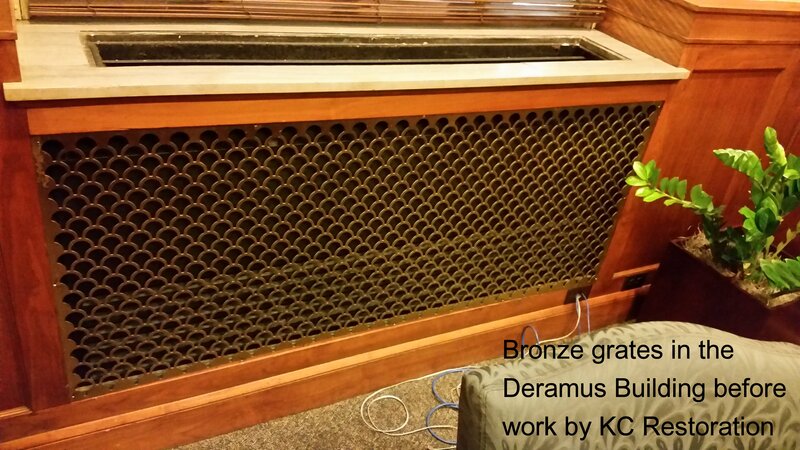 On this February afternoon of dreary, overcast skies, let KC Restoration brighten your day with some awesome before-and-after pictures of our restoration work in the Deramus Building. 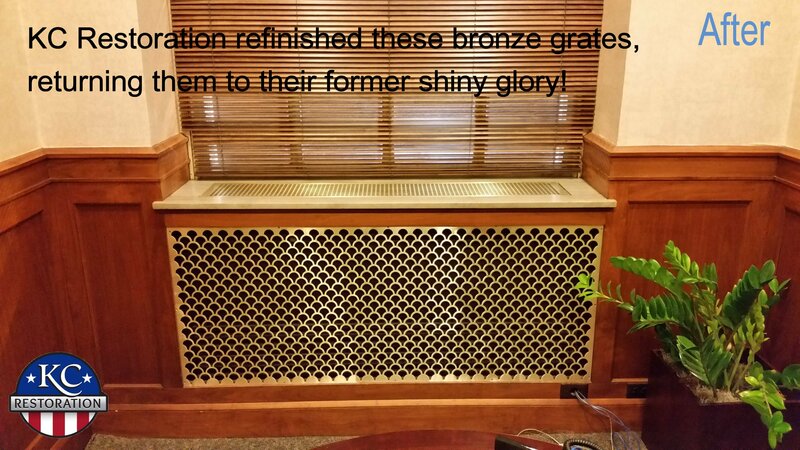 Its offices and conference rooms contained 38 bronze grates in need of updating. 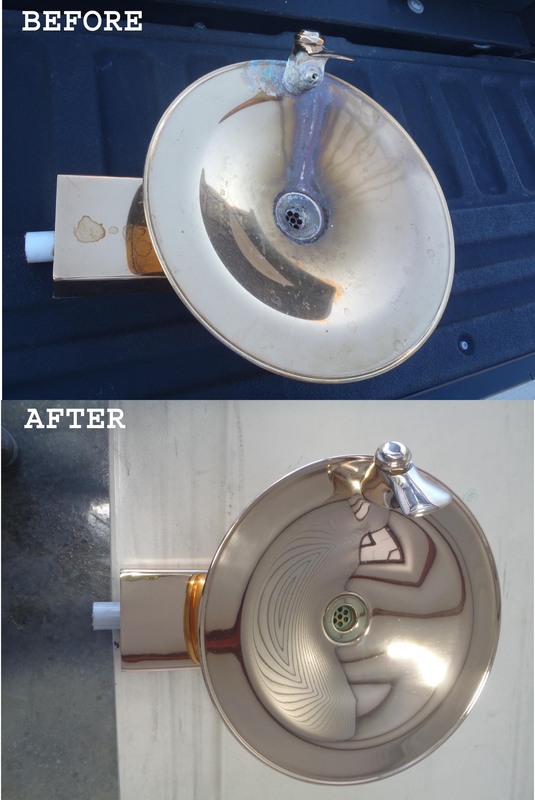 MC Realty Group turned to KC Restoration to bring back the bright shiny finish intended to accent each room. 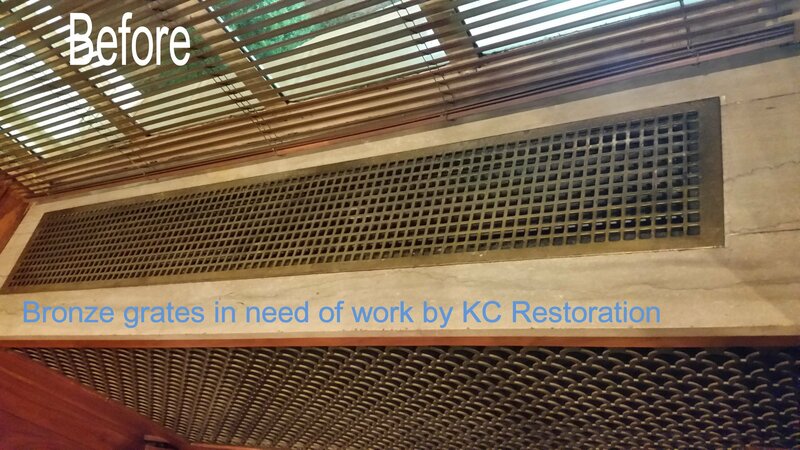 We’re glad their commitment to keeping all the details of their buildings their absolute best allowed KC Restoration to work on one of downtown Kansas City’s beautiful historic buildings. We hope you enjoy the pictures just as much!